The Longest Day movie, directed by Darryl F. Zanuck, Ken Annakin, Andrew Marton, Bernhard Wicki and Gerd Oswald is the first film about the landing of Normandy. The title is inspired by a sentence pronounced by General Rommel, commander of the German B-Army group in north-western France during the Normandy landing. Many critics present this film as hyper-realistic compared to the story of “D-Day”. It is time to put things in their right place: no, the film The Longest Day is not entirely faithful to the historical reality of D-Day. No, the film The Longest Day is not the best film Of war never realized, for the reasons which I will detail below. But then why was he so successful in spite of many historical errors? How could he “legendarise” the landing of Normandy? All the scenes in the film are not wrong with history. It is obviously necessary to recognize that this feature film of more than three hours is the only one presenting the landing of Normandy in its quasi-globality. It is regrettable that certain scenes have been shot with great freedom in relation to historical facts, in spite of the presence of veterans in the ranks of military advisers. This film narrates the Normandy landing, but unfortunately it disrespectfully disregards history. As part of my research on the Normandy landing, I met Maurice Chauvet, a veteran of the first battalion of marines (the famous Commando Kieffer) who landed on June 6, 1944 on Sword Beach. As part of our exchanges, we discussed the theme of the films made on D-Day. He explained to me how this feature-length film was shot. As a military advisor (alongside other veterans of 6 June 1944, including Philippe Kieffer, leader of the French commando), his role was to inform the filmmakers and actors of the historical and military details of the Overlord operation. But, considering that the film crew was not carrying enough about the respect to History details, he decided to leave the film team before its release in theaters. Seeking historical truth in detail, I wish to present these errors on this website, in order to restore certain facts that might be mistakenly regarded as historical realities. Here are some of the mistakes of the movie “The Longest Day”. On Tuesday, June 6, 1944, at dawn, the French troops, free under the command of Commander Kieffer and belonging to the 1st B.F.M. Commando n ° 4 have, among other things, the mission to liberate the town of Ouistreham, sector Sword Beach. Maurice Chauvet takes part in the assault in the section K Gun. In the film, the French soldiers, who disembarked at the same time as Lord Lovat’s famous bagmaster Bill Millin, touched French soil from US LCVP landing craft, dating for most of the 1960s. In fact, the French soldiers landed in Normandy from barges equipped with two retractable ramps launched at the front of the ship, type LCIs. On the left, a LCIs barge used by the Kieffer Commando at Sword Beach, on the right a LCVP barge (yet called “LCA“, which is another type of landing craft) used in the film The Longest Day. Once on the beach, the French commandos must take the casino, formerly a large luxurious building, but which the Germans destroyed before D-Day to install a real fort under casemate. The casino was never a multi-storey building, as can be seen in the film: it is a concrete blockhouse protected by machine guns and anti-tank guns of maximum three to four meters in height. In the film, during the attack on the casino (which was filmed in Port-en-Bessin), nuns are approaching the fighting and begin to treat the troops during the battle. But there were never any nuns at this time and place of the attack. 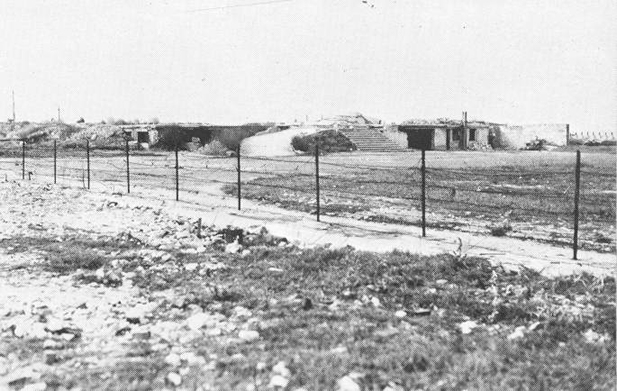 Photo of the casino bunker having been attacked on 6 June 1944 by the French commandos at Ouistreham Riva-Bella. 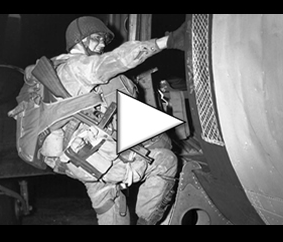 In the early hours of Tuesday, June 6, 1944, when the airborne troops of the 82nd and 101st US divisions were parachuted over Normandy, many units were dropped to the wrong place, sometimes more than forty kilometers from their target. Found, for example, American paratroopers of the 101st Airborne Division near the Pointe du Hoc). Some units are parachuted above Sainte-Mère-Eglise, and the film “The Longest Day” immortalized John Steele, hanging on the church steeple for nearly four hours. In this passage of the film, dozens of American paratroopers fall on the village square and then engage in terrible hand-to-hand combat with the Germans. But in reality, the paratroopers fallen on the village square are counted on the fingers of the hand: most airborne soldiers arrive in gardens or alleys in the vicinity of the place of the church. We are witnessing, once again, a theatricalization of the history of D-Day, and even in this case, a dramatization of the facts. Landings are shown in very unrealistic ways. Especially in Omaha Beach, men seem to be stopped only by a concrete wall (much more imposing than its actual size). The first waves of assault were wiped out by more than 90% in the first few minutes of the assault. When two Luftwaffe planes attacked the beaches of Gold and Juno in the film, the Allied soldiers advance inland without being likely to be stopped by anything. In fact, the Anglo-Canadian troops were greeted by extremely fierce fire that delayed them and the Allies accused of many losses on D-Day, especially on Juno Beach. 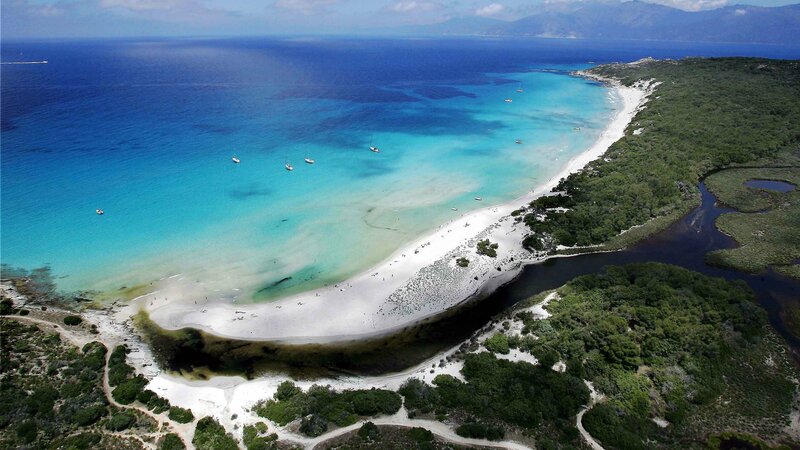 Most of the barges used in the film are US Army landing craft dating back to 1960, modern barges at the time of filming (filmed on Saleccia beach in Corsica), and which contain a large number of differences with the landing craft used in 1944 during the Normandy landing. What lessons can we learn from this film? What is to be remembered is that it transmits symbols rather than exact photographs of the events of June 6, 1944: the obstacle of a wall which, once pierced, allows the entire beach of Omaha to evacuating the troops symbolizes the American difficulty in this place, but does not bear witness to the strict reality. “The Longest Day” puts in images cult phrases, key and memorable moments of the Normandy landings to share a general idea. 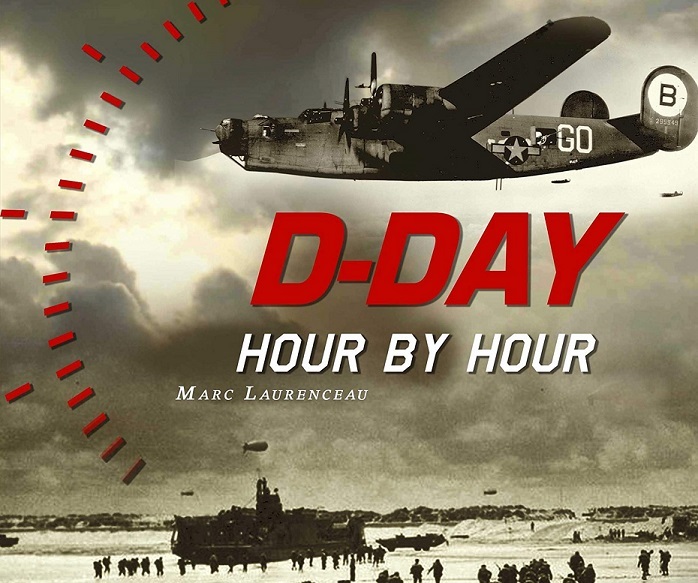 It is also necessary to see in “The Longest Day” a work inscribed in its time: 1962. In the midst of the crisis of Cuba, symbol of the Cold War, America seeks to regain confidence and awaken the memory of a just war, Won with the help of its allies. The filmmakers deploy the heavy artillery of American cinema: Richard Burton, John Wayne, Henry Fonda and Robert Mitchum: charismatic symbols of a victorious America, when it needs them most. Historical fidelity passes into the background: victories, allies, and obstacles (such as Omaha Beach) must be emphasized, the emphasis must be on the courage of men who, in adversity, Out. Regarding the evolution of the violence of war scenes, this film only slightly testifies to the atrocity of the war compared to what we are accustomed to seeing on our screens today. At the time of filming, in the 1960s, the fighting scenes of the film are considered difficult, whereas our eyes of contemporary spectators are accustomed to much more violence. The principle of absolute realism of war films appeared at the end of the 20th century in the 1990s. The two main examples are Saving Soldier Ryan and Band of Brothers: these films show a cruel, violent war that cuts respiration. Henceforth, historical realism is a priority, immediately followed by the realism of the fighting, which was not the case when the film “Le Jour le long” was filmed. But perhaps it took more than 50 years after the events to be able to agree to go to see the Second World War in cinema, in a raw and unadorned way.